Fundraiser for Constantine Kapothanasis by Hercules Spartacus : Greek National Baseball Team Help! Greek National Baseball Team Help! Baseball may be Americas past time, but it is alive and well in Greece. For now. For quite some time the Greek National Baseball team has been competing on the world level fielding extremely competitive teams. The first time that Greece put together a national team that got any recognition in the baseball world was during the 2004 Athens Olympic Games. 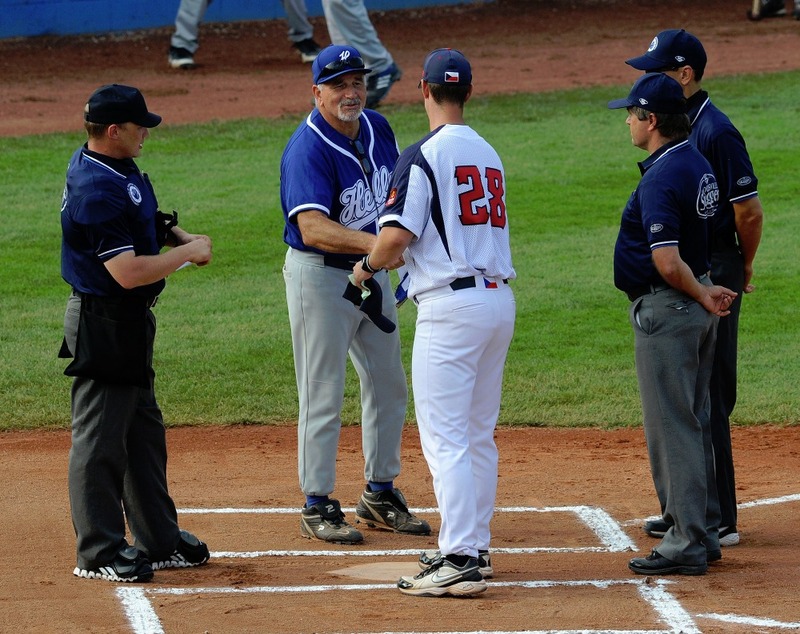 Greece, as the host country, was faced with the dilemma that the actual baseball talent pool in the country was very small, and what players were available were amateur. However, as a result of lenient citizenship laws, various minor leaguers from the United States were able to play for the Greeks. Baseball in Greece is regulated by the Hellenic Amateur Baseball Federation (HABF), which was founded in 1997. 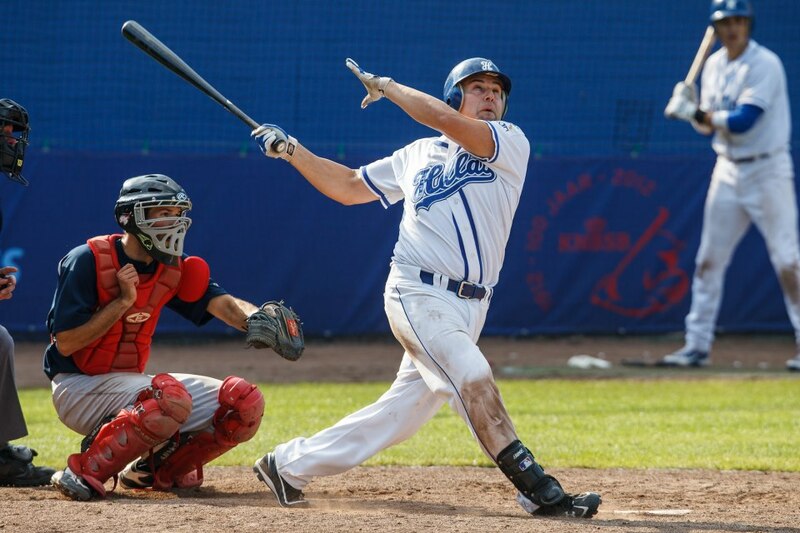 HABF overseas is represented by one league known as the Greek Baseball league. 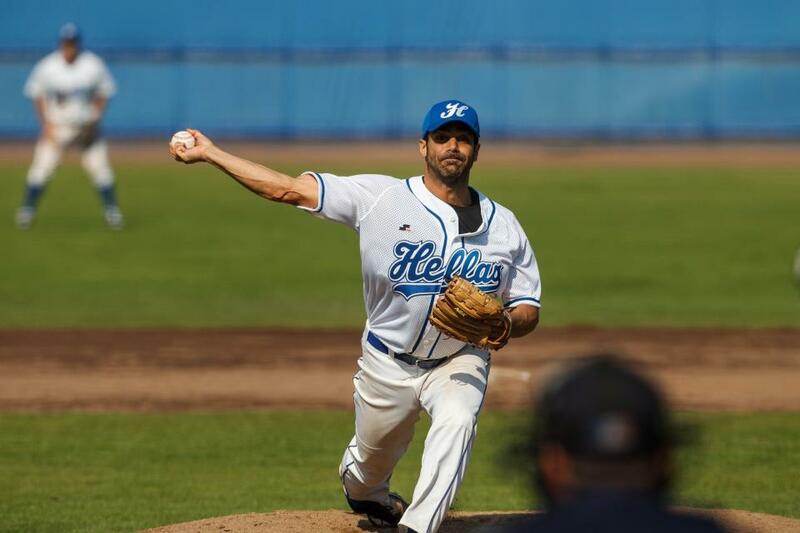 Greece is represented in international play by the Greek National Baseball Team. 56-game regular season. By 2008, HABF realized there would be no more government funding for baseball. The Federation was able to continue but with fewer teams. Through the work of the HABF and personal funds from its President, they sent a team to the 2008 European Qualifier’s Championship in Portugal. They won all their games. Confederation of European Baseball (CEB) has announced that the 2016 Euro will be held in The Netherlands and in the town of Hoofddorp during the month of September 2016. You will also note that Greece is listed as one of the countries that will be participating. This is because we secured our place in this tournament based on our 10th place finish in the 2014 Euro. Unfortunately there is a very good chance that we will be expelled from this tournament and another European country will take our place. The reason we may be expelled from the tournament is the fact that the Hellenic Amateur Baseball Federation (HABF) is no longer the governing body for the sport of baseball in Greece. Unfortunately, in December of 2014, the then Greek Minister of Sports, Mr. Andrianos, decided to terminate the HABF's authority to govern the sport of Baseball in Greece and placed the sport under the auspices of the Hellenic Gymnastics Federation (HGF). However, the HGF has, until now, refused to accept the sport of baseball. Their refusal has left Greece without a valid and "CEB recognized" federation to govern our sport. Without CEB's official recognition, we can not field a team. The President of CEB, Mr. Jan Esselman, has already sent the Greek Ministry of Sports an official notification of the fact that the Greek team will be expelled from the tournament unless a fully functional and recognized federation is in place by no later than February 2016. Status of Baseball Fields in Athens: As many of you know, ever since the 2004 Athens Olympic Games, we have been using the 2 practice fields that were built on the grounds of the old American Air Force base in the Athens suburb of Hellenikon. These fields are fully regulation MLB quality facilities, complete with dugouts, lockers, showers, bullpens, batting cages, grand stands, and much more. However, the power company long ago (in 2005) shut off our electricity and the water company recently (May of this year) shut off our water supply. All these years we were able to make due without electricity, but we are having great difficulties without water. Obviously the intense summer sun has almost completely dried out the grass, but more importantly we are unable to make use of the showers or the toilet facilities thus causing a serious hygiene problem. Panathinaikos fields a Greek Baseball Team: As many of you know, the very well known Club, Panathinaikos, decided to form a baseball team that competed in the last Greek Championship in 2014. I was asked to manage this team and I gladly accepted the challenge. Panathinaikos is one of the best known Greek clubs that has a very successful professional soccer team and a very successful professional basketball team, both of which have many championships to their credit. My hope was that a Panathinaikos baseball team would attract more youngsters to the sport, potentially bring fans to our games, and hopefully entice other big clubs, such as Olympiakos, AEK, and PAOK, to field baseball teams. Naturally, my team's goal was to win the 2014 Championship so that we could hopefully bring more attention to our sport and also to represent Greece in the 2015 European Qualifier Cup tournament that we organized and hosted in Athens in June of this year. I sincerely believed that I had the best players and the best team in Greece and based on that conviction, I led Panathinaikos to its first Greek Baseball Championship. However, we had to deal with all kinds of unbelievable obstacles that were thrown in our path by the same team and its trademark losers (J.S. & M.K.) who submitted a barrage of groundless accusations against my team and the HABF. The crux of the entire story is that the team has until February to raise a certain dollar amount or else be removed from the Top Tier of European baseball. 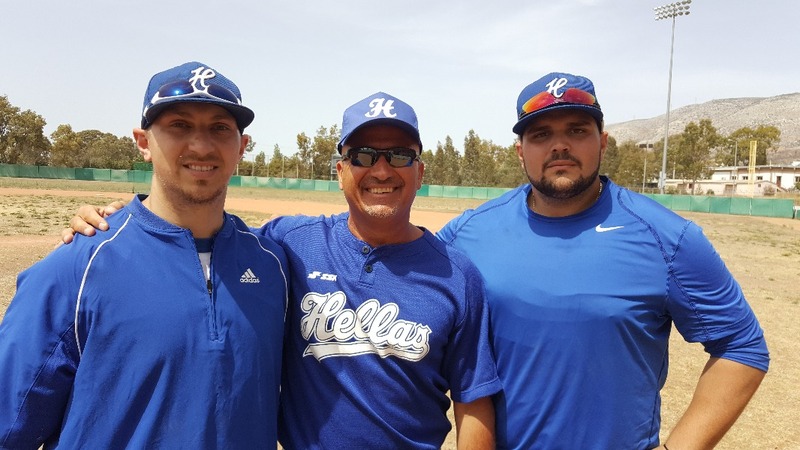 There have been many Greek Americans who have given much time money and effort to build the program to where it is right now, and we just need some help to make sure there is a future for baseball in Greece. We are less than 5 months away from the tournament and we have been able to make so much progress towards the longterm viability of the national baseball team. When the Greek baseball team gets it's best players they can compete with anyone in the world. Greece can compete with anyone. It has been about a month since we have updated the fans of Greek baseball. While raising money may have tapered off, the need to raise funds has not slowed down. UPDATE: Thank you! Thank you! We have been able to secure the funds necessary to be completely up to date with the CEB. 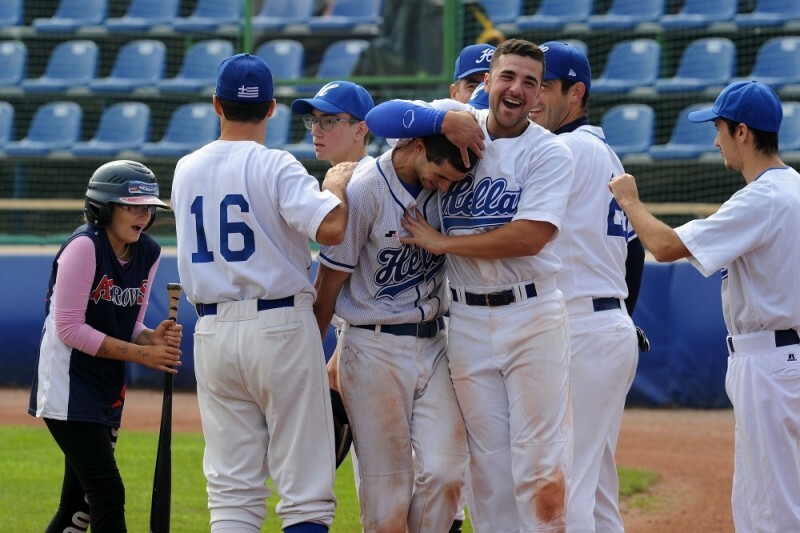 The 2016 European Baseball Championship will feature a Greek National Baseball Team!! However! The job of raising awareness is not over. The more funds we raise, the more self sufficient the team will be going forward. We will continue to raise money, and try to achieve our long term goal of 35,000 dollars which could potentially stimulate a self funding apparatus. Everyone God bless and thank you again. Keep up the good work. We all appreciate it so much. This is terrible news Tom. My son Nicholas was as getting excited about coming over and trying out. Why don't you use my name and that my son was planning to come over and play. I still have some good friends there. Kyriakos Vidas. Donation is from AHEPA Chapter 411, Anaheim California. AHEPA Athletics let's get going and finish off the fundraising. Yasou!! !